I look in the mirror at the moment and I'm like gah, that's still what my hair looks like? I need a change. A cut, a colour, a style, anything. It just needs to be different. Trouble with that is that I'm very picky with my hairdresser and for a major change like that, I will only trust someone in Plymouth who has been cutting my hair for a very long time. 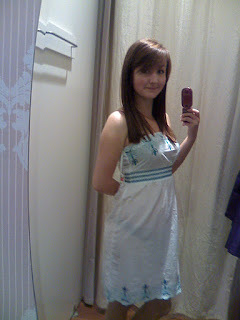 So here are my considerations; full fringe, I look so different! Bit longer than this though. Side fringe; probably a little bit longer than this too. I love my hair this colour, a bit lighter.. So what should I dooo? I have an appointment sorted for Thursday so please, comment soon!